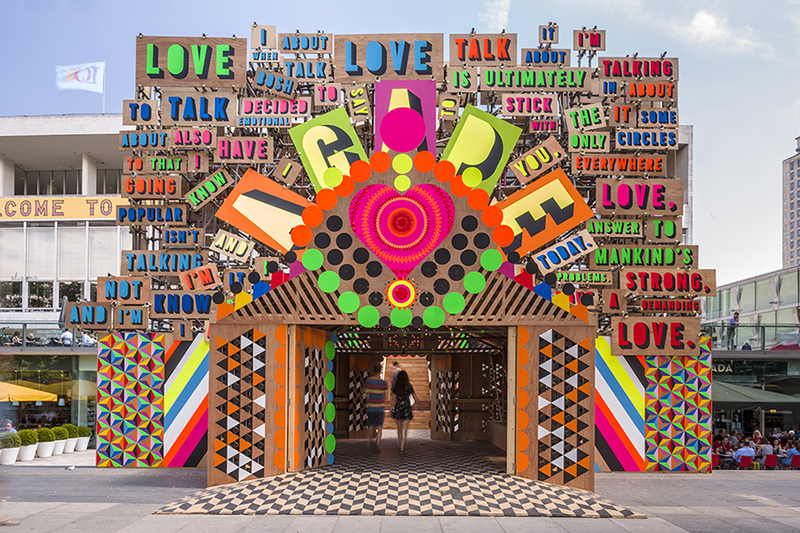 Morag Myerscough is one of the UK’s most prolific designers. Recently awarded with Royal Designers for Industry (RDI) status. Her work is characterized by an engaging boldness, creating specific, local responses to each distinct audience that will see and experience the design, using it to create community and build identity. Morag makes places from spaces that people like to be in, which stimulate and often make you smile. She creates and curates many different types of work. The eclectic breadth of work covers the conversion of a train to a café, installations, numerous exhibitions and interpreting buildings. She has designed several exhibits for London’s Design Museum from Archigram to Formula 1 as well as the exterior of the British Pavilion for the 2004 Venice Biennale.